I combine short-term experiments and modelling to understand and predict how temperature and resource density influence the strength of predator-prey interactions and food-web structure. I use aquatic food webs as a model system to quantify the effects of temperature and prey density on predator feeding rate (i.e. predator functional response) and metabolic rate. I then use these empirical measurement to parameterize bionenergetic food-web models. I am also interested in multiple predator interactions and their consequences for prey populations and community resilience to global changes. Finally, I do not only consider the effects of constant temperatures on food-webs but I also investigate the impacts of temperature fluctuations and extreme temperatures on species and their interactions. Global changes affect both organism phenotype and species interactions which may have important cascading effects on communities and ecosystems. However, the links between phenotypic responses to changes and species interactions remain poorly understood. I thereby try to understand how the effects of temperature on predator phenotype influence species interactions and food-web dynamics. For instance, many ectotherms comply with the temperature-size rule, i.e. they attain smaller body sizes at higher temperatures. This can decrease their metabolic and feeding rates and thereby influence predator-prey interactions and populations dynamics. I am developing food-chain models with Amrei Binzer and David Boukal to investigate the consequences of size reduction for trophic interactions and population dynamics. I also perform laboratory experiments to determine how thermal acclimation influences predator phenotype, predator-prey interactions and food-chain stability. Climate change may affect both trophic and non-trophic interactions. However, very few information exist about the relative importance of trophic and non-trophic interactions for the responses of ecological networks to changes. Most animals and plants rely on chemical cues to detect resources, conspecifics, mates, predators and parasites. Chemical cues thereby play a crucial role for species interactions and then provide an excellent study system to investigate the effects of climatic change on trophic and non-trophic interactions. I thereby study the effects of temperature on the emission rate of chemical cues and the consequences of temperature changes for infochemical-mediated behaviors and species interactions. My ultimate objective is to develop a theoretical framework to integrate the interacting effects of temperature and non-trophic interactions into food-web models. The biosphere currently experiences exceptionally high rates of ecosystem degradation and species extinction largely due to anthropogenic pressures at every scale . It is therefore crucial to identify conditions and mechanisms for species adaptation and persistence in fast changing environments. However, it is still unclear what evolutionary responses should be expected, at what rates, and whether evolution will save endangered populations. Accumulating evidence suggests that transgenerational non-genetic responses (e.g. transgenerational thermal acclimation) can considerably accelerate the evolution of heritable adaptations [2, 3]. However, the mechanisms and impacts of nongenetic inheritance in adaptation to global change are barely known. This underlines the necessity to better understand eco-evolutionary mechanisms to predict the consequences of global change on the functioning of natural and anthropogenic ecosystems. 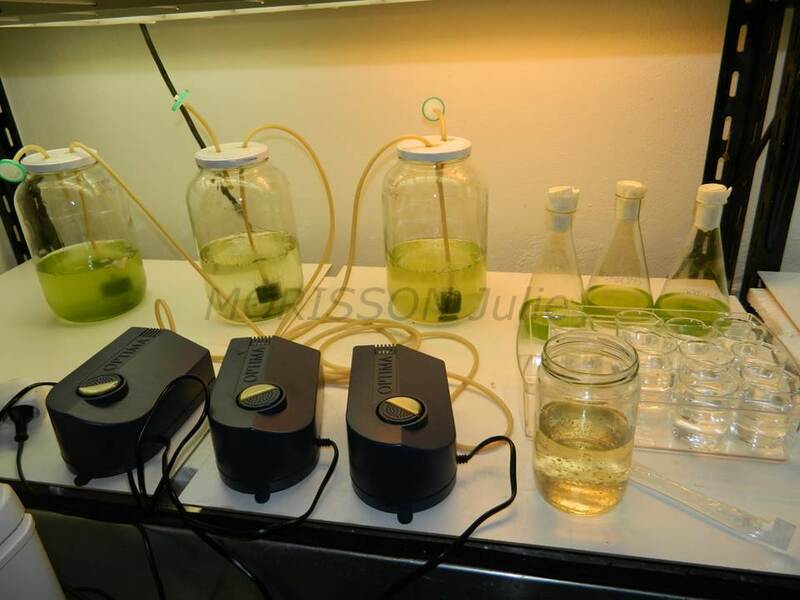 The objective of this project is to perform transgenerational evolution experiments specifically focused on transgenerational non-genetic responses to biotic (i.e. predators) and abiotic (i.e. warming) stressors to better understand mechanisms of non-genetic inheritance for adaptative evolution. The project involves the development of transdisciplinary collaborations in the Toulouse area and the combination of theoretical and empirical aspects of evolution, epigenetics and molecular biology at the infra and supra individual levels (i.e. from molecules to population). We are conducting our study with the pea aphid during its clonal parthenogenetic phase to reduce the incidence of genetic variation, and so pinpoint epigenetic adaptive effects. By bringing ecological, evolutionary, physiological and molecular perspectives together we hope to stimulate a cross-disciplinary dialogue on the relevance of phenotypic plasticity for adaptation to climate change and the management of natural population and agricultural pests. Pereira, H.M. et al. 2010. Science, 330: 1496-1501. Franks, S.J. et al. 2012. Annu. Rev. Genet., 46: 185-208. Turner, B.M. 2009. Philos. Trans. R. Soc., B, 364: 3403-3418.